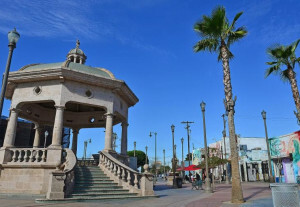 No one disputes that there are a lot of LA’s, from the ancient Los Angeles of Pueblo and Missions, to Hollywood and LA Film Noir, to the Watts Towers, to Dog Town Surf Culture, to CGI pioneers and Silicon Beach. But director Betsy Kalin’s new documentary East LA Interchange is likely one of the few to explore the neighborhood known as Boyle Heights. This film will open tomorrow at The Hollywood Film Festival with narrator Danny Trejo (Machete) piecing together the topical patchwork of different ethnic communities that make up this oft-overlooked backbone of Los Angeles culture. There are Mexican-Americans, Japanese-Americans, Anglo-Americans, African-Americans, everything in between and a thriving Jewish community here. 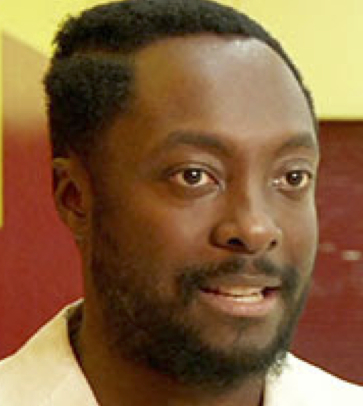 Pop sensation will.i.am (X-Men Origins: Wolverine) of the Black Eyed Peas goes on record in this film, overflowing to tears, about “working so hard to get out, only to want to come back… there was a hole.” The pop superstar tells his personal connection to the place alongside actor Xavi Moreno, writer Josefina Lopez (Real Women Have Curves, starring Ugly Betty’s America Ferrera), and three best friends Momo (Japanese-American), Dian (African-American) and Marsha (Mexican-American). 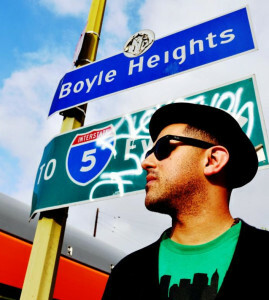 Bluewater Media, who co-produced this documentary, was founded by Eric Waterman, whose parents are from Boyle Heights. 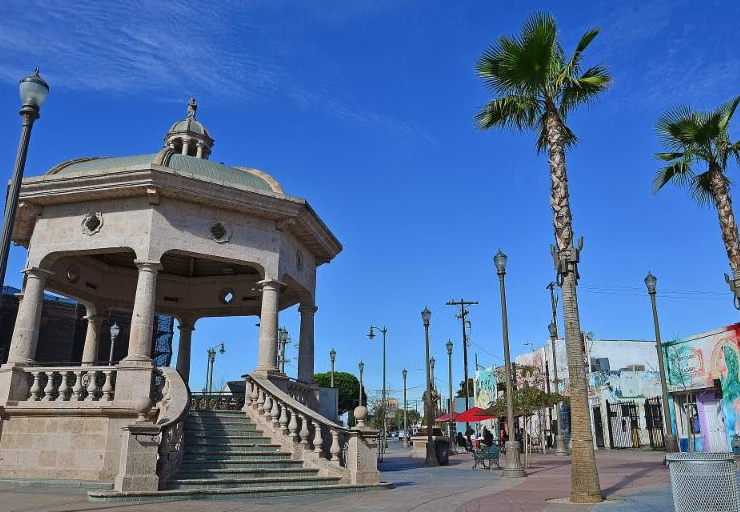 This was also the home district of Edward R. Roybal (1916-2005), one of the first Mexican-Americans from California ever elected to US House of Representatives, with the support of mixed community, in a political race that made the history books. Last year he was posthumously honored with the Presidential Medal of Freedom, our nation’s highest civilian honor. His daughter, Congresswoman Lucille Roybal-Allard, who became the first Mexican-American woman ever elected to the US House of Representatives in 1992, is featured prominently in the film. The Roybal Foundation stands proudly in nearby East LA, next to Boyle Heights, a community that brought together repatriated Japanese Americans after World War II deportations, and gave us the legendary Father Greg Boyle (G-Dog), Homeboy Industries, the musically talented will.i.am, as well as uplifting groups CSO (Community Service Organization), CASA 0101 Theater, and grassroots mothers’ groups against gang violence. These disparate factions persevered in the face of decades of social upheaval, gentrification, exacerbated by unchecked freeway development. Thus the name East LA Interchange, because literally most of the major freeways have carved out pieces of this delicate cultural oasis. There’s the 110-Harbor Freeway, the 60-Pomona, the I-5, and the I-10 that snake through the area with literally 800 million vehicles a year rumbling past, You can imagine the carbon emissions, but what’s harder to imagine is that the area depicted in this film, spooling together a cornucopia of diverse interviews, could really be viewed as a test-case for positive social change. 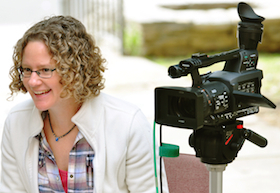 And then Kalin, who began as a narrative short filmmaker, and moved on to documentaries, says, in closing, “I’m not going to go on record with that [who should win in 2016], but the politicos of the film is the politics of Bernie. That’s the closest the film comes to finding a candidate, Bernie, who is about social justice, equity, and coalition building. If this film could vote, It would vote for Bernie.” No matter how you cast your ballot, cast your gaze toward East LA Interchange because it hints at a peaceful solution to the Gordian knot of fairness with regard to marginalized communities in terms race, poverty, housing. And it’s done in a low-key, informed way, with great archival footage included, plus Japanese-American Cedrick Schimo, a 96-year-old Boyle Heights native who fought in WWII, returns to discover buried treasure in the backyard of his parents old house, and it was not staged. 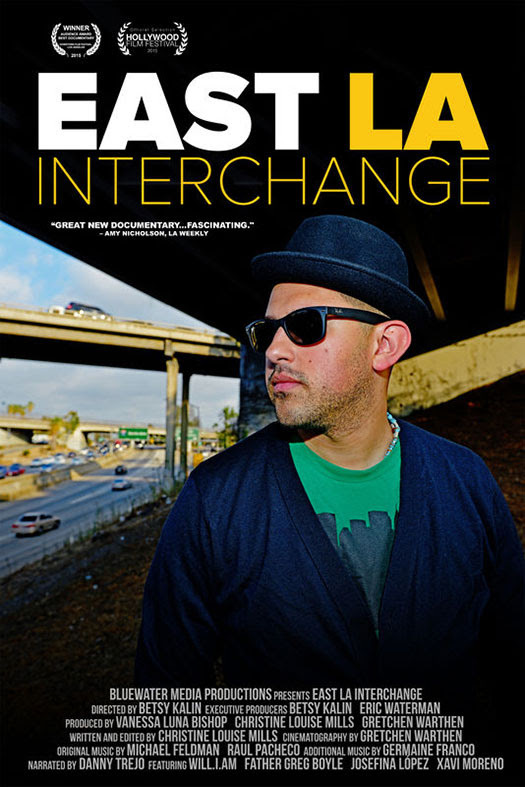 East LA Interchange will screen at the Hollywood Film Festival on Thursday, September 24 at 12:45 p.m. at the ArcLight Cinemas Hollywood, 6360 W. Sunset Blvd., L.A., CA 90028. For ticket information visit: Hollywood Festival’s site. 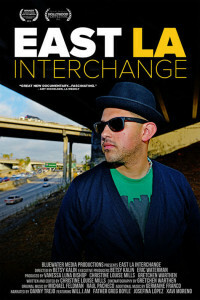 EAST LA INTERCHANGE additional screenings.